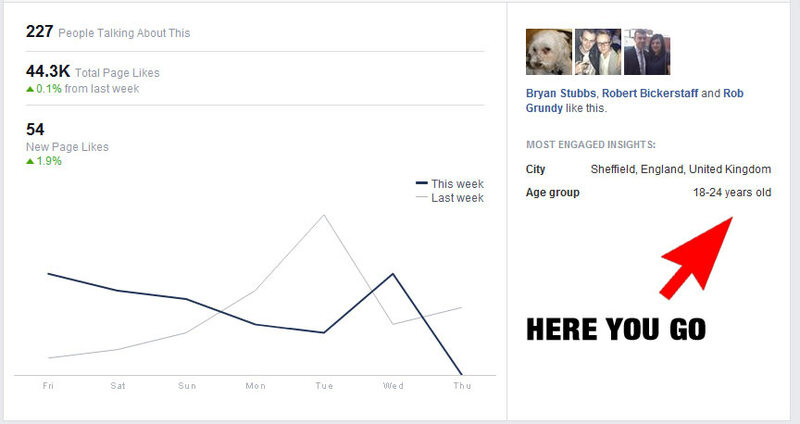 Here’s how to find out who your biggest ‘group’ of fans are using Facebook. 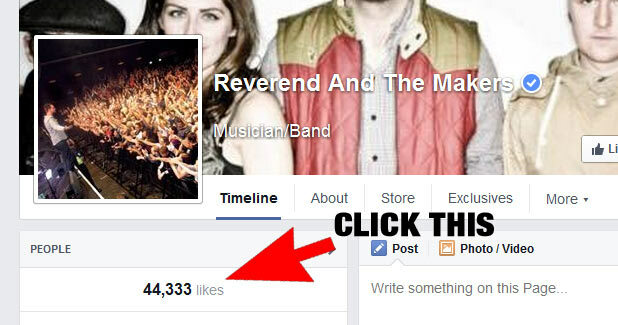 Move to your Facebook page, for this example I’m going to use the Facebook page of band Reverend & The Makers and I’m going to click the ‘likes’ the Facebook page has. On this new page I’m now given a snapshot of the most engaged (therefore the biggest fans) of the group (see below). I can see that they are 18-24 years old and we get a little extra geographical info in that Sheffield is a top city of engagement for the band. You can even use this type of research for a band or artist which is similar but larger than yourself. That group’s main demographic could well be the type of fans you are looking for and need rather than the ones that you currently have! Who Is Your Main Fan Demographic?